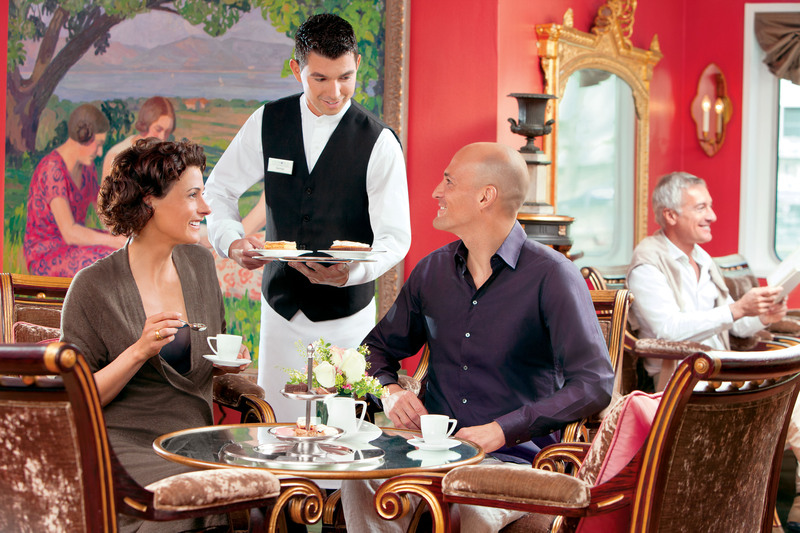 Uniworld provides an intimate, boutique cruise experience onboard well-appointed river cruise ships. 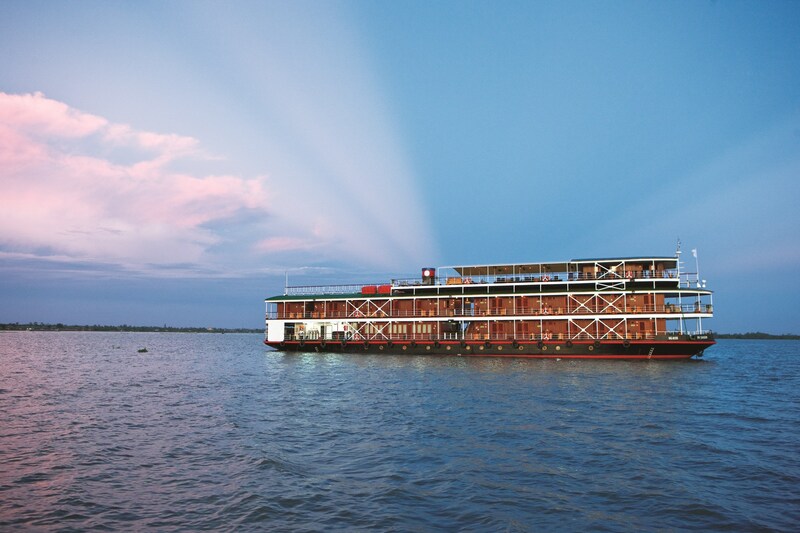 True to most river boats, Uniworld is limited by the size of the rivers it sails therefore cabin size and activities available onboard lack in comparison to larger, seafaring cruise lines. 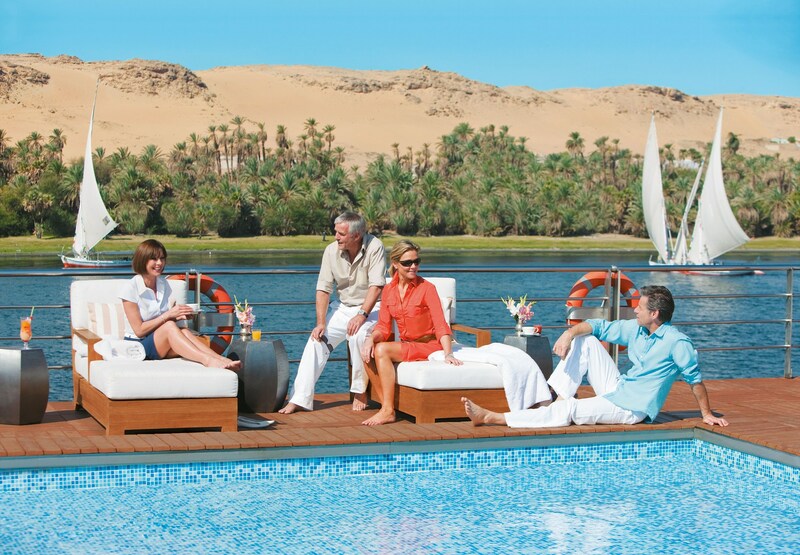 Uniworld offers itineraries on 13 rivers throughout Europe, as well as in Russia, Egypt, China and new in 2012 Vietnam and Cambodia. Airport transfers are included complimentary on the embarkation and departure days, and internet access and WI-FI are complimentary while onboard. 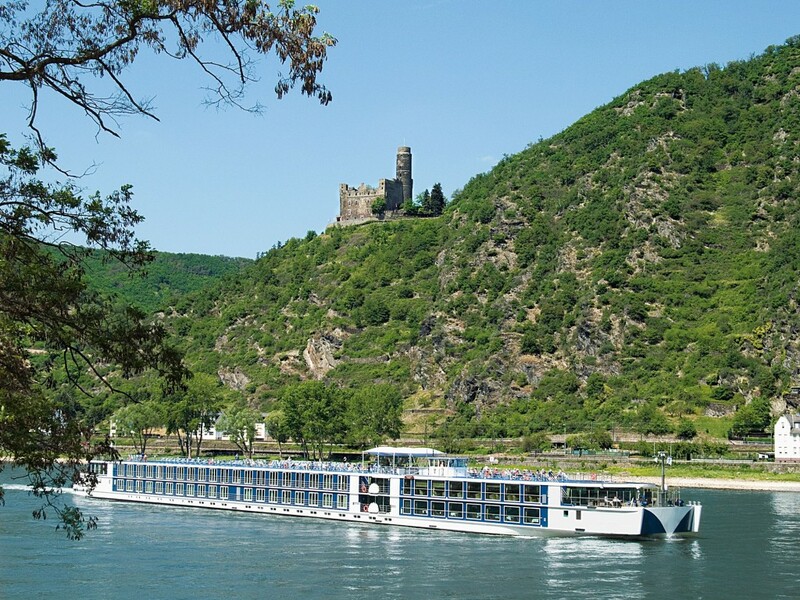 Distinguished on Conde Nast Traveler’s “Gold List” and Travel + Leisure’s World’s Best Awards since 2008, Uniworld’s fleet contains many top ten rated river boat ships by the readers of Conde Nast poll. The River Queen and River Beatrice enjoy the #1 and #2 positions, with River Royale, River Countess and River Duchess falling in the top ten. Zagat also recognizes the river cruise line for Top Cabins and Top Dining. Founded in 1976 by Serbian-born Serba Ilich, a former executive with KLM Royal Dutch Airlines, Uniworld positions itself to target the North American travel market by hiring English-speaking staff and offering dining to suit American tastes. In 2004, Travel Corporation, a Bermuda-based organization purchased controlling interest in the company. Travel Corporation has varied interests in the travel industry including Contiki Holidays, Trafalgar Tours, Insight Vacations as well as Red Carnation, which operates deluxe hotels including London’s Chesterfield Mayfair and Rubens at the Palace and Palm Beach’s Chesterfield. While partnership transformed the onboard ambience on all the river ships it acquired and created a decidedly more upscale ambiance. Uniworld like all brands within the group, continues to operate as an independent and autonomous company, but gives the river boat line comfortable funding, shielded from market nuances by a fairly large umbrella. Uniworld’s fleet consists of 10 fully-owned and recently refurbished boats in Europe. Believing owning its ships and operations provides the company with greater control over its product, Uniworld’s investment and hands-on management style translates into a consistent level of service. Headquartered in Los Angeles headquarters, the company has subsidiary offices across Europe and in Egypt. Current President and Chief Executive Officer is Mr. Guy Young. Young came to Uniworld in 2006 from the Travel Corporation Canada where he served as President for six years. Over the course of Young’s career, he distinguished himself in roles of growing responsibility within the hotel and service industry. Young is a graduate from Southern Methodist University in Dallas, Texas where he earned his Bachelor’s in Business Administration. With an average capacity of 130 guests, Uniworld’s professionally-trained, English-speaking staff is able to provide quality service with a ratio of 1 staff member for every 3 guests. Officers tend to be European although the crew is sourced from the sailing region. In Europe, Uniworld’s fleet consists of 10 fully-owned and operated ships. The company charters numerous boats for use on the rivers of Russia, Egypt, Portugal, China, Vietnam and Cambodia. Interiors are designed by the Red Carnation Hotel Collection design team and the décor of each ship is stylish and unique. Common features include a 24-hour reception area, a lounge with panoramic views, open dining, flat-screen TVs, handcrafted beds from Savoir of England with fine linen and a wide variety of pillow options. Complimentary bottled water is provided in all staterooms. The River Queen is reminiscent of a vintage steamship with Art Deco themes in blue and white. Sixty-seven of the eighty staterooms aboard the River Beatrice enjoy French balconies and are decorated in stylized floral patterns. Perhaps its most spectacular vessel, Uniworld’s first to be built from scratch, the innovative S.S. Antoinette features cabins and suites with alcove conservatories that, at the touch of a button, transform into open-air balconies. Marble bathrooms come standard in all cabins. Best Accommodations: Suites onboard Uniworld’s fleet offer exclusive services, added amenities and in some cases butler service. Standard Accommodations: Guest cabins on the upper decks enjoy French Balconies. Although staterooms are comfortable, space is limited. There is no room for a third bed and be forewarned to bring luggage small enough to fit under the bed as there is no extra spare space for storage. Entry-Level Accommodations: Guests cabins on the lower decks offer a picture window. Dimensions of this cabin category are the same, but the lack of fresh air can make them appear smaller. Bathrooms vary from ship to ship, growing in size and elegance on the newest vessels. Marble-clad bathrooms with stylish fixtures, L’Occitane en Provence amenities and plush towels, help to make each stateroom a home away from home. Hair Dryers are included however some ships do require adaptors/converts for personal usages as power outlets are in 220V. Small and efficient, bathrooms do lack some basic features such as a soap dish in the shower. Meals typically exceed expectations aboard Uniworld’s fleet. Table settings and menu items are borrowed from the kitchen of Mrs. Beatrice Tollman, the founder and president of Red Carnation, and invite the ambiance of being a guest in someone’s home. 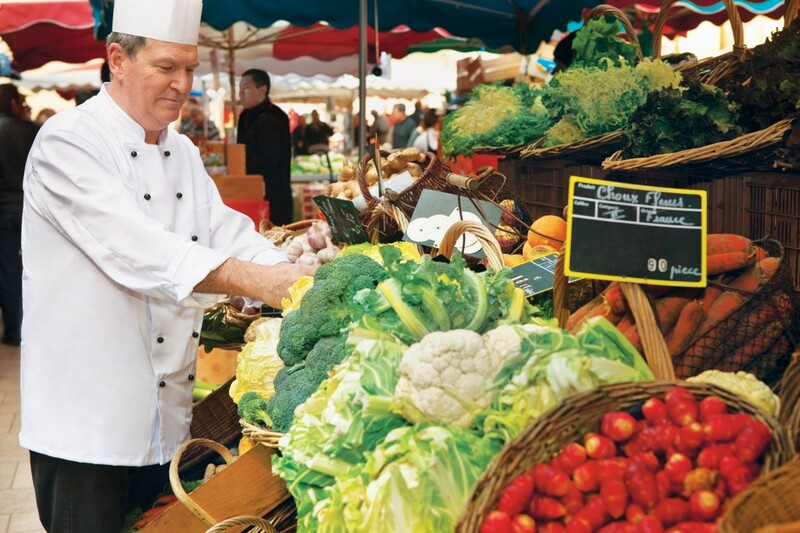 As possible, meals are prepared using the fresh ingredients procured from local farmers markets visited while ashore. Dining is open and the experiences vary to include a Captain’s Welcome Gala and Farewell dinner. Breakfast and lunch are served buffet-style while dinners are ordered ala carte from a daily menu. Dinner is served between 7 and 9 pm and includes a selection of wines and beers. In addition to an early riser breakfast and afternoon tea, fruit and tea is served after shore excursions and soft drinks are always complimentary. Food and wine aficionados will appreciate Uniworld’s exclusive Epicurean Adventurer Program offered complimentary on certain departures. The program is designed to allow guests to expand their knowledge of the relationship between food and wine and to savor many varietals throughout the course of their meal during the food and wine pairing dinner. Guests are also invited to partake in culinary demonstrations and tastings. Many shore excursions are offered complimentary however optional tours are offered at a cost. Tours are led by experienced English-speaking local guides and the Uniworld Cruise and Tour Manager. On ships in Europe, state-of-the-art Quietvox portable lightweight audio headset system are used during tours allowing guests to move at their own pace while enjoying the guide’s commentary. “Choice is Yours,” “Go Active” and “Go Gentle” shore excursions enables visitors to experience a destination at their own pace and many include special access at museums, home-hosted lunches, classical concerts, and elegant receptions in addition to the ‘must sees’ in each destination. Some itineraries offer the exclusive Epicurean Adventurer Program while others cater to multi-generational groups of family and friends. Broadway-style performances and lavish productions are not found onboard the Uniworld fleet. Subdued, genteel entertainment is the norm, with pianists playing in the lounge and singing standards and on occasion local cultural performances are offered onboard. Cruise managers will provide a brief explanation on the history of the region and the following day’s itinerary. Uniworld offers published airfare. Flights cannot be held by reservation but must be paid in full and are non-refundable.